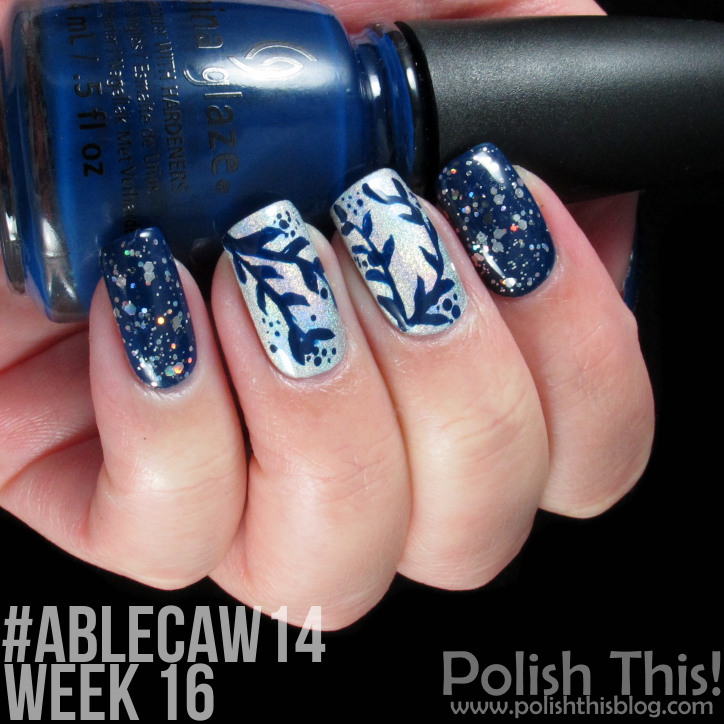 #ablecaw14 Week 16: Gold or Silver - Polish This! 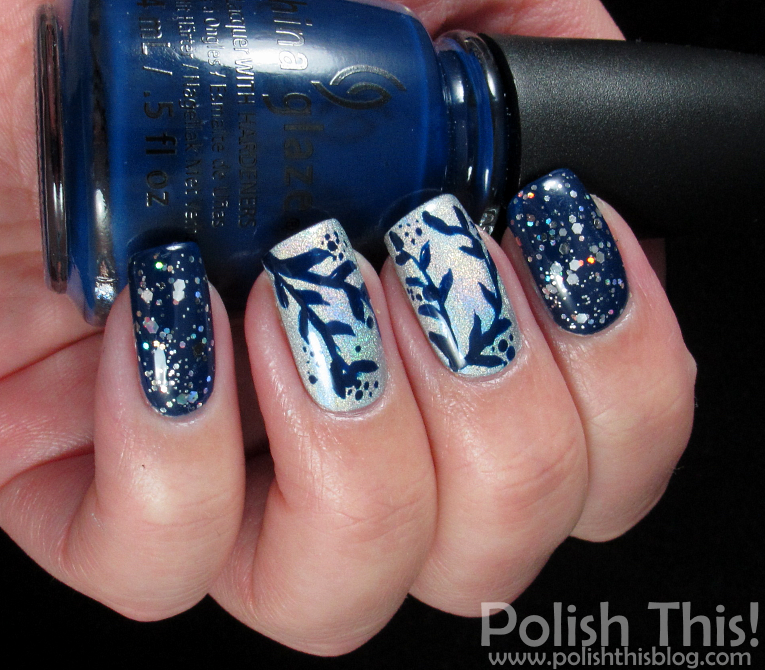 I painted my index, ring and thumb nails with one coat of China Glaze One Track Mind and then added some glitter over it from both OPI Snowflakes in the Air and Essie Set In Stones. For my middle and ring fingers I first used three coats of GOSH Holographic. 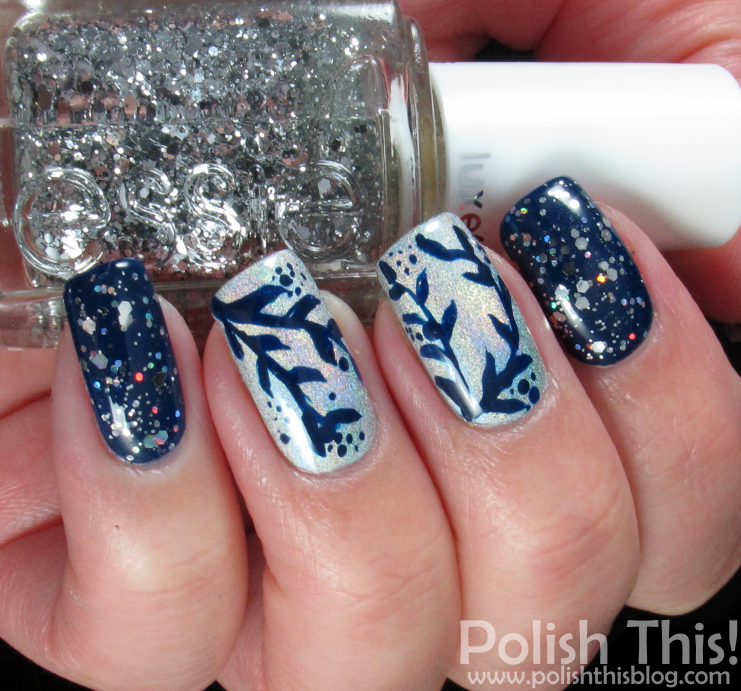 Then I used a small nail art brush and painted the branches with it using also One Track Mind. Finally I did some dots with the same brush and a dotting tool. I'm always in awe with Kim's nail art on Instagram and I used one of her manicures as an inspiration for the branches. Mine aren't half as pretty as hers as she really does perfect freehand nail art, but at least I tried. I should definitely do more freehand nail art as that's really the only way to get better. Our nail art challenge was really awesome because it encouraged me do some freehand nail art few times, so maybe I'll try do to that more often in the future too. On the other hand, China Glaze One Track Mind is just one pretty perfect polish! It was sooooo easy to apply and I only needed one coat for full coverage. The color is really beautiful also, quite dark, but you can still see that it's blue and not black. It's really great one, I love it! So yeah, this was the end of #ablecaw14 challenge for me. I have really enjoyed this challenge and it did what it was supposed to do: challenged me to do way more nail art than I would have normally done. I will do a little recap post about the whole challenge later, so there's still one post left to do about it. 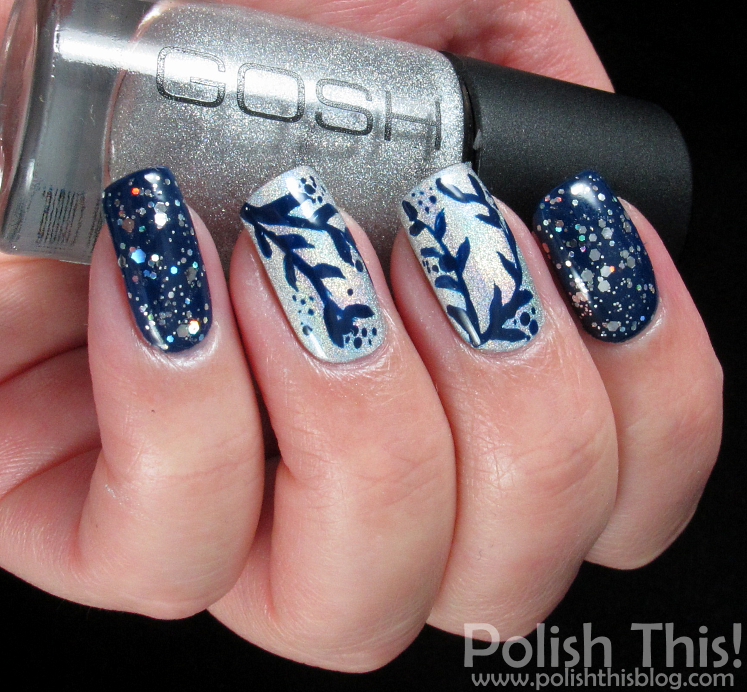 This is such a beautiful manicure! I love the silver and blue combo.